Chests Two Drawer for sale - large selection at affordable pricing - open since 1972.
,$43Cf Bristol Grande Cherry Finished Wooden Veneer Silver Chest By Reed & Barton - Holds Up To 200 Pieces 15" X 11.5" X 8.5" - Gorgeous! 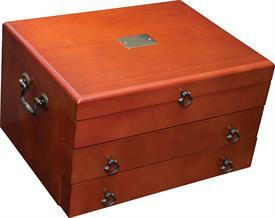 43M Bristol Grande Flatware Chest. 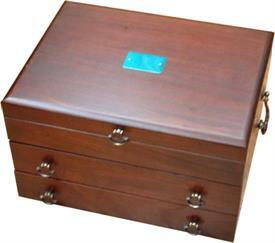 Holds Service For 12, Up To 180 Pieces. 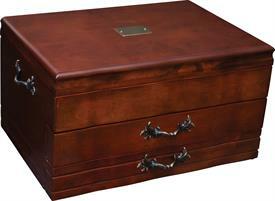 17"X11.5"X6.75"
:$571M Mahogany 2 Drawer Chest Made By Reed & Barton 17" X 11.5" X 9.5" Holds Up To 200 Pieces Brass Name Plate - Beautiful Chest!